How can we help our youth create and sustain positive, healthy relationships? It’s an important question for all of us, adults and youth alike, and yet we all know how messy and challenging relationships can be. Who among us is able to navigate all of our relationships well? To be successful at relationships, we need a number of skills: active listening, compassion, boundary setting, collaboration, and the ability to regulate one’s emotions and impulses. It is a lifelong journey. 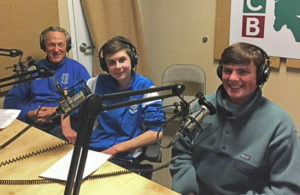 In this podcast, BCB host Christina Hulet explores this ability to create and sustain healthy relationships–what psychologists call sociability–with soccer coach Ballan Campeau of BIFC club soccer and the Bainbridge High School team, and two of his athletes, Tyler Moravec and Quinn Millerd. In sharing their experiences of creating solid relationships on the soccer field and beyond, they encourage us, as parents and community members, to think about what we might do from the sidelines to foster these skills and better support our youth. This podcast is part of the Bainbridge Healthy Youth Alliance’s 9-month educational campaign called “Beyond the Report Card: Cultivating What Matters.” Designed for local parents, educators and other adults who care about teens, the campaign focuses each month on a different attribute?such as sociability, empathy or curiosity?to help our youth thrive. These attributes are based on a framework called The Compass Advantage, which was developed by our very own Marilyn Price Mitchell, PhD, a local developmental psychologist and researcher. 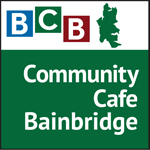 To sign up for weekly resources or to learn more about the Bainbridge Healthy Youth Alliance and specific things you can do to support our youth, visit BIHealthyYouth.org. Credits: BCB host: Christina Hulet; BCB studio tech: Channie Peters; BCB audio editor and social media publisher: Diane Walker.